My daughter wanted fun Valentine’s Day treats to take to some of her friends, so we whipped up a batch of these simple Valentine’s Day cookies. 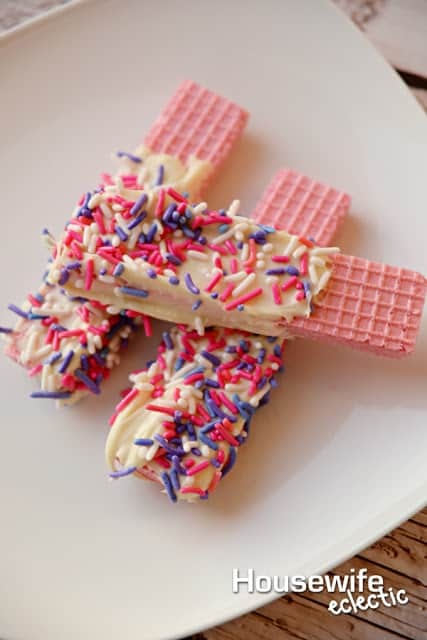 They are a lot of fun and with all those sprinkles, the kids absolutely love them. They are really easy to make, and we love making them whenever we need a fast treat for something and you can match them to any holiday or party! Put the chocolate in a microwaveable bowl and microwave them 30 seconds at a time, stirring in between each time until they are fully melted. Dip the wafers in the chocolate. I used a spoon to smooth out the chocolate a bit and take off any excess. Place the wafers on wax paper and wait for the chocolate to set. After the chocolate is set, add a few to a cellophane bag and attach a fun valentine and you have the perfect treat for February 14th! 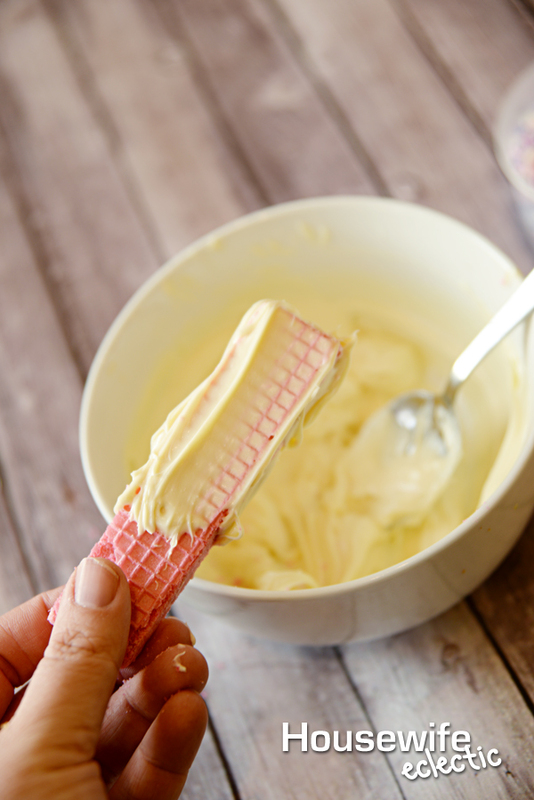 I LOVE wafers… and the pink ones are so cute! 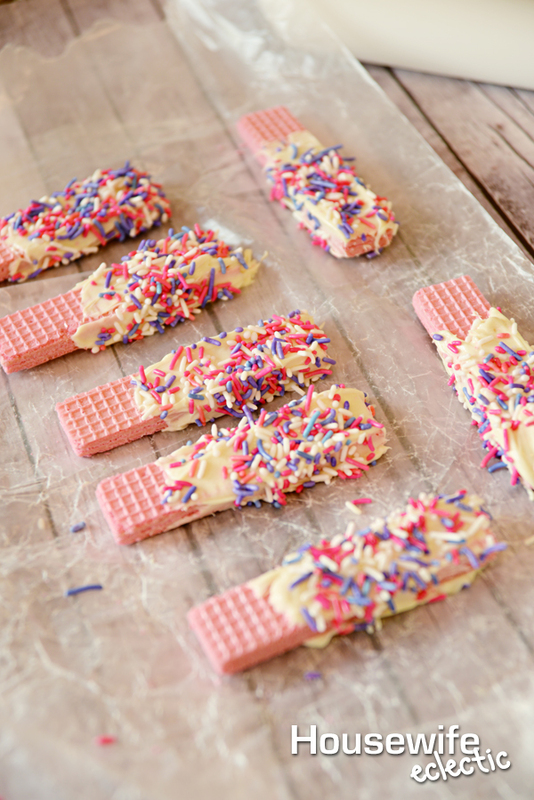 Love dipping them in the white chocolate with the sprinkles! So fun and festive! What a simple, yet delicious treat for Valentine's Day! And nice to change it up too, with white chocolate. This sounds as amazing as it looks. 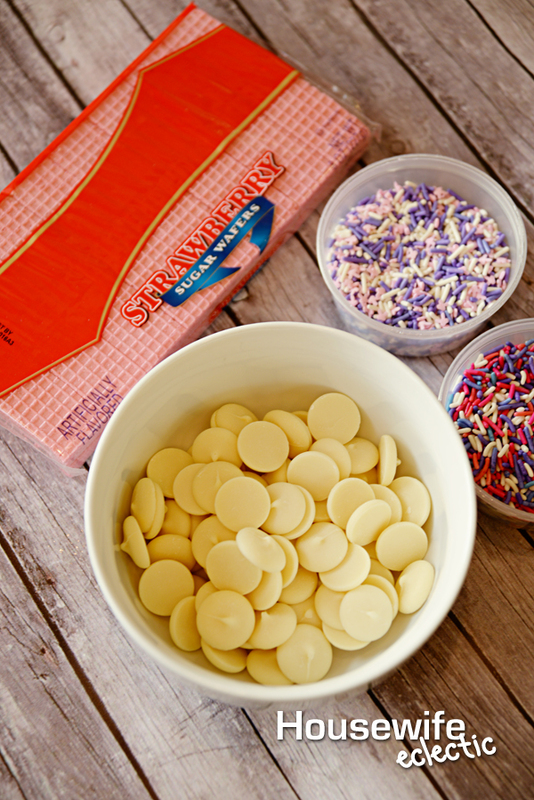 I love white chocolate and sprinkles they are so tasty! Love the pink and purple sprinkles! Such a fun and simple snack but they are my favourite!! Oh this is so so cute and so easy to make! I want these right now! I love this idea. So fun! I would be cute for little Valentine's Day treat bags. That looks so easy and yummi! I love white chocolate! I remember having those sugar wafers as a kid. I didn't really like them then. More of a savory fan than sweet. They look so pretty. The girls love wafers! 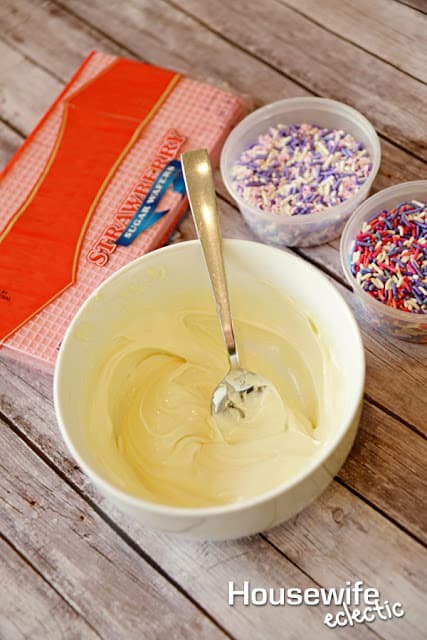 I'm not a fan of sprinkles, but I think these look incredibly pretty. I would eat them just because of how nice they look. This sounds so simple for my girls to help with. LOVE the colors! These are so cute and kid friendly 🙂 Would be great for a sleep over! These are really cute! And they look like a lot of fun to make. I can see that it would be so easy to whip up a batch for any occasion. These look so yummy! And easy enough for my little man to help with! 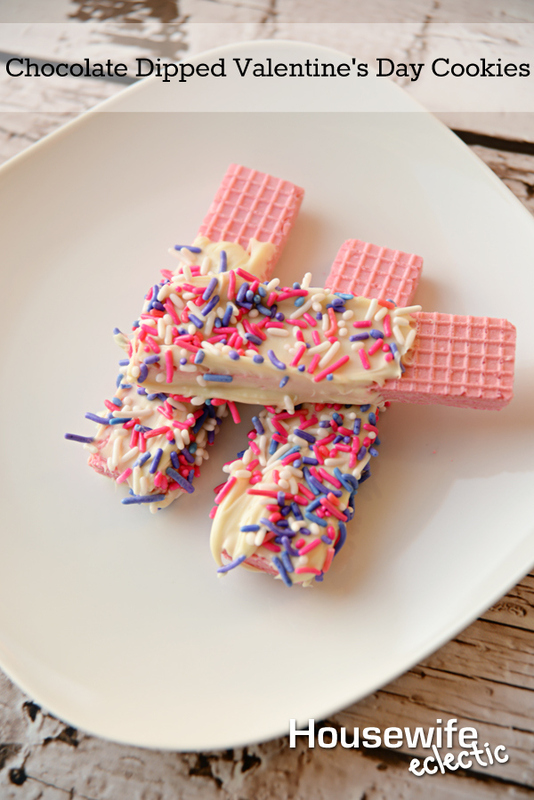 i love wafers, sprinkles, and chocolate – this is such an adorable, dreamy idea for valentine's day! These are my sons favorite cookies! I love the way you dressed them up. What a fun way to make a special dessert even then their isn't time to make something from scratch. Love wafer cookies. Those sugar wafers were my FAVORITE when I was growing up. I never thought to make them even MORE awesome with sprinkles. YUM! I love how simple this is to make and that I don't have to go out and buy a ton of stuff to make it. These looks simple and are adorable for a valentine's day party for school or wherever! who said you need to put hours of work into a cute dessert? Thanks for linking up with delicious dishes recipe party!